If you are looking for some ideas on what to make out of buckwheat you shoud definitely give buckwheat porridge a try. 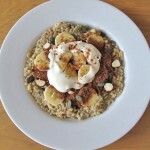 I got inspiration for this buckwheat breakfast from The Food Crafter. I was actually going to make a raw buckwheat porridge following the recipe on The Food Crafter website, but then I ended up creating my own recipe as I wanted to have something warm for breakfast and the idea of cold breakfast didn’t totally appeal to me on that morning. If you plan to make a buckwheat porridge in the morning you should soak the buckwheat grains overnight to reduce phytic acid in them and increase absorption of certain minerals. I previously wrote an article about the importance of soaking your nuts, but the same applies to grains such as buckwheat as well. Buckwheat is a gluten-free grain, great for those with gluten sensitivities. It is a nutrient-rich food containing a number of essential vitamins and minerals your body needs for good health such as B vitamins, magnesium, calcium, iron and zinc. If you wonder where to buy it from, I actually bought a small pack of raw buckwheat from my nearest larger Tesco. It wasn’t organic though as I wanted to try it first to see whether I like it before buying organic and in bulk. raw buckwheat try to estimate the correct amount you need - I didn't measure, but I made too much..
Soak the buckwheat overnight covering it in filtered water. In the morning, drain the water and add the buckwheat to a medium sized saucepan. Add water or almond or coconut milk (or a mix of both). 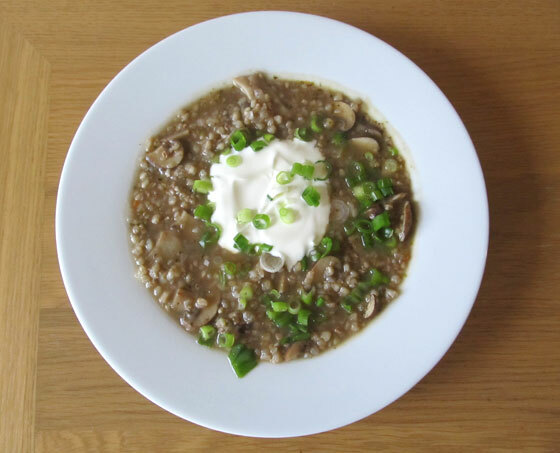 Cook the buckwheat on a medium heat for 15-20 minutes, depending on how mushy you like your porridge to be. I cooked mine for around 15 minutes and it was cooked but still a bit firm. Next time I would probably cook it a little bit longer to make it more mushy. Make sure you keep an eye on it so that it doesn't stick to the pan and stir regularly. If needed add more liquid to prevent it from sticking. Once cooked, add a required portion into a cereal bowl or onto a deep plate. Add grated apple and mix altogether. Finish by adding chopped banana, some pumpkin seeds, chopped brazil nuts and cinammon on top. 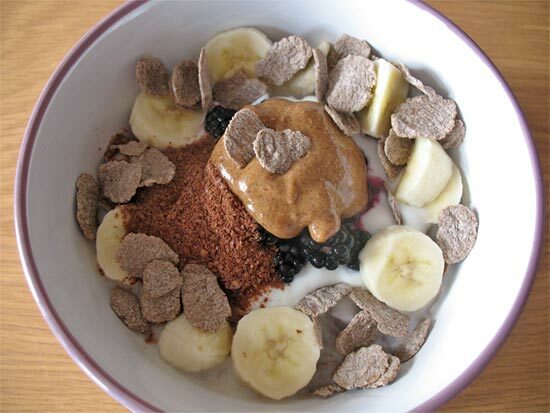 You could also add some flaxseeds for that extra fibre and minerals. Serve with 2 spoons of natural yogurt on top. I quickly learned that the buckwheat porridge is much more filling than the oaty porridge, so you really don't need as much. I made way too much and I couldn't even finish it.. But lesson learnt for next time! If you make too much of it, you can just leave it in the fridge for the next day so that's not a problem. You can make it much more simple and maybe just use fruits and no seeds or nuts. 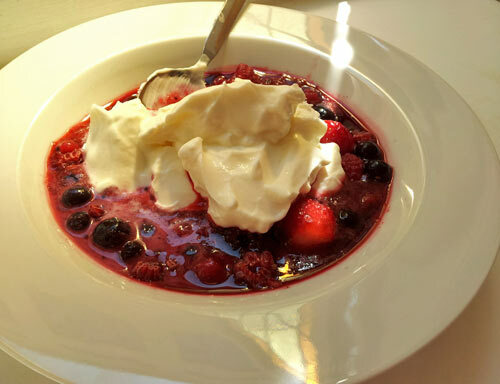 Fruits add a bit of sweetness to otherwise quite strong buckwheat flavour so I wouldn't skip that. Oh my goodness, this looks incredibly delicious! I would say the taste is much different from the normal porridge which makes it more interesting.. But it’s really filling and healthy.